Architect David Chipperfield has extended his range of tableware for Italian brand Alessi, adding vases, a serving plate and an updated range of colours. The British architect created the new pieces to accompany the bowls, cups and beakers in his Tonale series, which first launched in 2009. 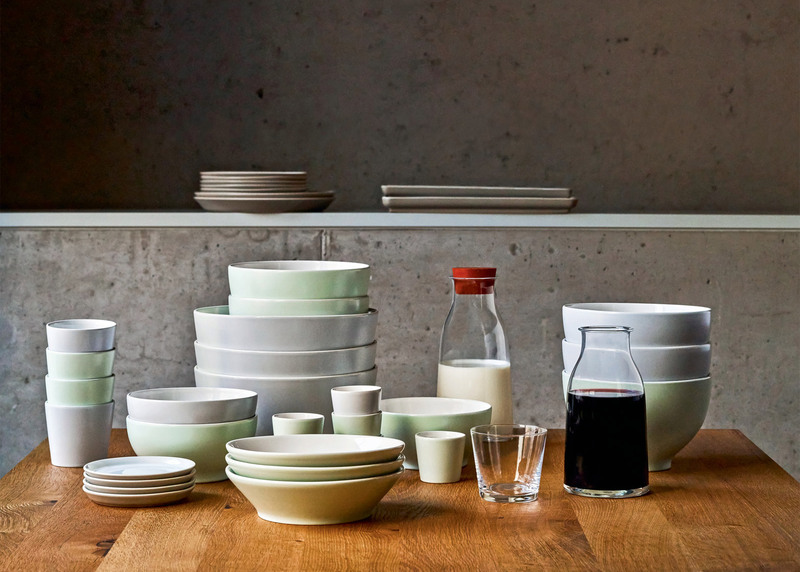 Available in a variety of shapes and sizes, the original products feature muted colours inspired by Italian painter Giorgio Morandi and forms inspired by ancient Korean stoneware. Chipperfield has expanded the pale red and grey colour palette to incorporate pastel blue and green editions. He has also designed new ceramics for the collection. The vases, which come in two sizes, gently taper towards their tops and feature lips around their circular rims so they resemble chimney pots. A pair of rectangular serving plates also have raised edges, while smaller bases allow for stacking. "New colour versions and two new types: the flower vase and the serving plate, round out the Tonale tableware collection created in 2009 by this master of contemporary architecture," said Alberto Alessi, the brand's president. Alessi will exhibit the products at this month's Maison&Objet design fair in Paris, which will take place from 22 to 26 January 2016. Chipperfield's products for the home also include a range of minimal furniture for e15, which was recently updated with a wooden coffee table and sideboard. He presented a series of bronze, steel and glass bookshelves and cabinets at London's David Gill Gallery in September 2015. In 2014, Italian furniture brand Driade appointed Chipperfield as its artistic director. A partially buried concert hall in Germany, a masterplan for a 19th-century brewery in Berlin, an expansion to New York's Metropolitan Museum of Art and his first residential tower in Manhattan are among the architect's ongoing projects. A Chipperfield-designed country house in the Chiltern Hills, England, was named the world's best new house in 2015.